TILT Holdings Inc. (“TILT” or the Company) (CSE: TILT) (OTC: SVVTF) today announced preliminary and unaudited pro forma fourth quarter 2018 gross revenue of US$31 million1, with 15% gross margins. The Company will release audited financial results for its fourth quarter and full year 2018 ended December 31, 2018 after market close on Tuesday, April 30, 2019. Fourth quarter pro forma revenue was driven by continued growth of all companies within TILT, including recent acquisitions. TILTs broad source of revenue now includes the sale of cannabis products, vaporizer devices, business and consumer delivery and software and services. The businesses that now comprise TILT were segment leading while independent, and are now benefiting from integration, allowing them to sell a broader suite of value-added products and services to the same business customer base. New product launches by Jupiter, expanded services in California, Nevada and other geographic territories by Blackbird, a more robust software platform by Baker and additional states for cannabis like Pennsylvania from Standard Farms are all contributing to the historical and future growth of the Company. This will further be enhanced through the transition of certain states such as Massachusetts to adult use, where demand is significantly higher than a medical only state. TILTs Q4 pro forma revenue indicates that the Company is one of the larger revenue producing US companies in the cannabis industry2, said Alex Coleman, TILTs Chief Executive Officer. Our unique B2B model enables us to provide software, hardware, distribution and production support to over 1,500 retailers and producers, generating significant revenue for businesses that are our clients. As the complementary businesses we have acquired and merged continue to integrate, we look forward to even greater growth and revenue opportunities as well as continuously improving margins. With operations and sales in forty states in the United States (U.S.), Canada and Europe, TILT provides products and services, which enable other cannabis businesses to operate more efficiently and connect with the consumer more effectively. TILTs historical results do not reflect any material sales from cannabis products. Massachusetts, TILTs first cannabis market and the location of its corporate headquarters, is in the process of converting previously not-for-profit medical licenses to for-profit adult-use licenses. TILT anticipates further revenue growth throughout the year as adult-use sales in Massachusetts come online, from the Companys expansion in other states and the ongoing integration of software products and services, all realizing value from every stage of the cannabis supply chain. In markets where TILT has manufacturing assets, it also realizes revenue from contract manufacturing. About TILT TILT is a leading provider of products and services to businesses operating in the cannabis industry. The Company offers the contract manufacturing of marijuana in a variety of form factors, vaporizer and inhalation devices, business and consumer delivery services and a broad suite of software products for over 1,500 retailers and brands throughout the U.S., Canada and Europe. The majority of TILTs products are customized to client specifications and branding, all enabling them to operate their businesses more efficiently and connect with their customers more effectively. The Company is organized in two main business units, Software & Services and Consumer Devices & Packaged Goods, designed to augment competencies across the organization in research, manufacturing, packaging and technology to deliver end-to-end services and customer solutions. All of TILTs products are supported by an extensive research process led by scientists and engineers, using data analytics and discovery to produce new products helping shape the industry. Headquartered in Cambridge, MA, with offices throughout the U.S., Toronto and London, TILT has over 500 employees and has sales in 40 U.S. states, Canada and Europe. For more information, please visit www.tiltholdings.com. Pro Forma Presentation The pro forma information (Pro Forma Information) presented herein is not necessarily indicative of the operating results or financial condition that would have been achieved if the proposed acquisitions to which the Pro Forma Information relates had been completed on the dates or for the periods presented, nor do they purport to project the results of operations or financial position of the combined entities for any future period or as of any future date. Actual amounts recorded upon consummation of the acquisitions to which the Pro Forma Information relates would likely differ from those recorded in the Pro Forma Information. The Pro Forma Information does not reflect any special items such as integration costs or operating synergies that may be realized as a result of the acquisitions to which the Pro Forma Information relates. 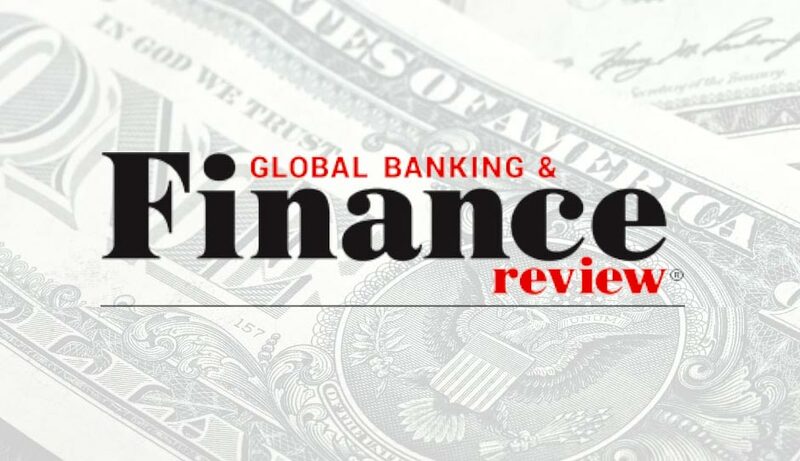 Accounting Constructs and Unaudited, Unreviewed Status of Financial Information The financial information included in this press release is not required for any regulatory purpose and is therefore provided solely for additional investor guidance. All financial information provided is neither audited nor reviewed. Where possible the information has been constructed by management from available audited or audit reviewed financial statements. Where no audited or audit reviewed information has been available, additional management accounting information has been utilized to construct the financial information. Forward-Looking Information This news release contains forward-looking information based on current expectations. Forward-looking information is provided for the purpose of presenting information about managements current expectations and plans relating to the future and readers are cautioned that such statements may not be appropriate for other purposes. Forward looking information may include, without limitation, statements regarding TILTs future business operation, expectation of sales or revenue, the opinions or beliefs of management, operations, business, financial condition, expected financial results, performance, prospects, opportunities, priorities, targets, goals, ongoing objectives, milestones, strategies and outlook of TILT, and includes statements about, among other things, future developments, the future operations, strengths and strategy of TILT. Generally, forward looking information can be identified by the use of forward looking terminology such as pro forma, plans, expects or does not expect, is expected, budget, scheduled, estimates, forecasts, intends, anticipates or does not anticipate, or believes, or variations of such words and phrases or state that certain actions, events or results may, could, would, might or will be taken, occur or be achieved. These statements should not be read as guarantees of future performance or results. These statements are based upon certain material factors, assumptions and analyses that were applied in drawing a conclusion or making a forecast or projection, including TILTs experience and perceptions of historical trends, current conditions and expected future developments, as well as other factors that are believed to be reasonable in the circumstances. Although such statements are based on managements reasonable assumptions at the date such statements are made, there can be no assurance that they it be completed on the terms described above and that such forward-looking information will prove to be accurate, as actual results and future events could differ materially from those anticipated in such forward-looking information. Accordingly, readers should not place undue reliance on the forward-looking information. TILT assumes no responsibility to update or revise forward-looking information to reflect new events or circumstances unless required by applicable law.